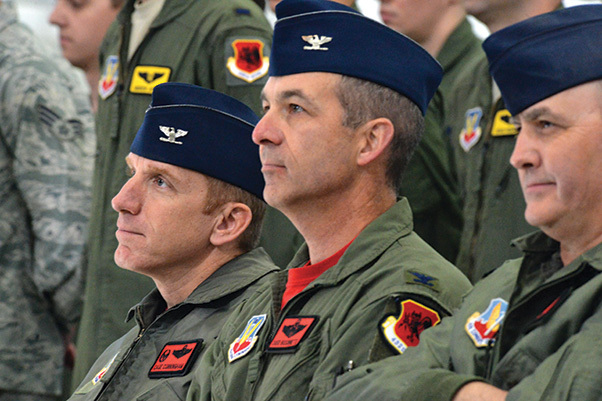 Col. Case Cunningham, 432nd Wing commander, Col. David Bissonnette, 432nd Wing vice commander, and Chief Master Sgt. 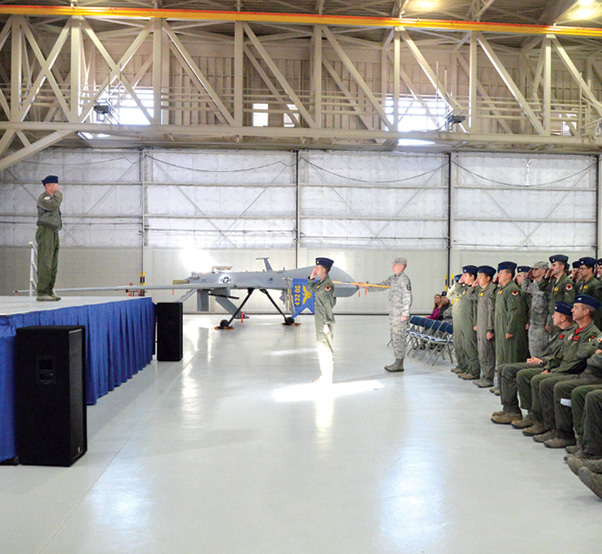 Greg, 432nd Wing acting command chief, watch the 489th Attack Squadron reactivation ceremony Dec. 2 at Creech Air Force Base, Nev. The unit will assume responsibility of aircraft launch and recovery in deployed environments, operating on a rotational basis to relieve the deployment cycle for other flying squadrons on base. 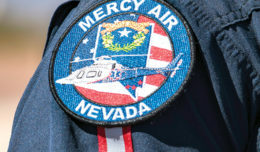 CREECH AIR FORCE BASE, Nev. — It’s not every day that a timeworn piece of history is taken off the shelf, dusted off and given new meaning in today’s military. 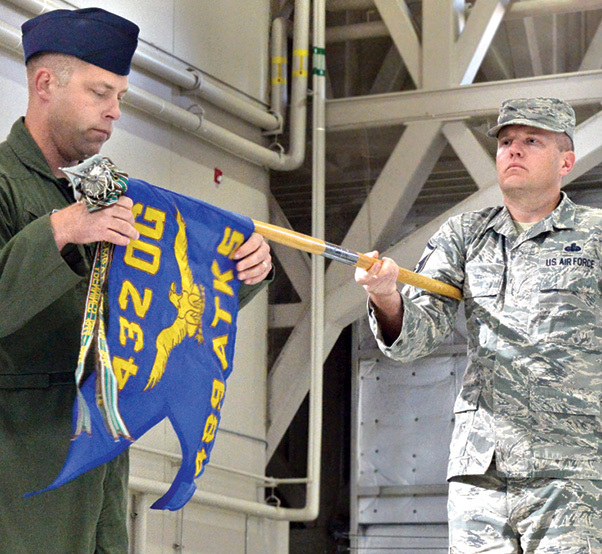 On Dec. 2, Creech Air Force Base leadership reactivated the 489th Attack Squadron and brought new purpose to a unit older than the Air Force itself. The 489th ATKS will be the first attack squadron in Air Combat Command designated to perform launch and recovery operations downrange, and will be the only unit to deploy MQ-1 and MQ-9 operators from Creech. This will relieve the deployment cycle for other pilots and sensor operators flying in support of global contingency operations, save time, effort, and increase morale among Creech MQ-1 and MQ-9 aircrews. The squadron, which was once the 489th Reconnaissance Squadron, has its roots as the 489th Bombardment Squadron at Whiteman Air Force Base, Missouri. Before then, it was assigned to the Army as the 489th Aero Squadron. 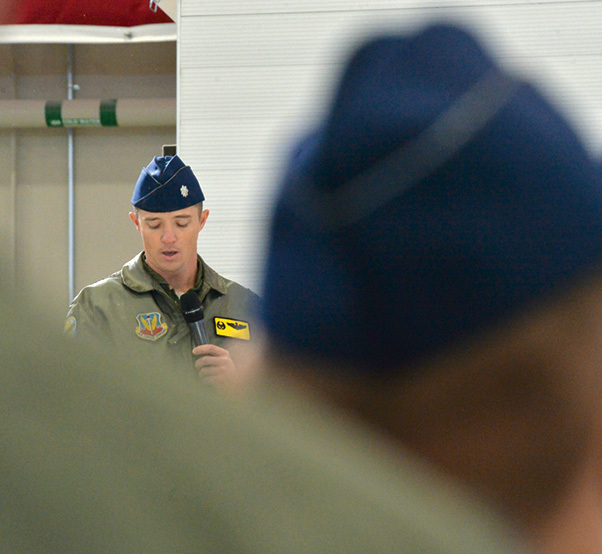 Lt. Col. Theodore, 489th Attack Squadron commander, speaks during the unit’s reactivation ceremony Dec. 2 at Creech Air Force Base, Nev. Theodore, who was previously a commander of at Creech, was chosen to assume command of the 489th ATKS. While presiding over the unit’s reactivation, Joseph reflected on the unit’s proud history dating back to World War I and World War II. Lt. Col. Theodore, 489th ATKS commander, said the commitment of his Airmen was key to successfully standing up the squadron. Lt. Col.Theodore receives his first salute after assuming command of the reactivated 489th Attack Squadron Dec. 2 at Creech Air Force Base, Nev. The unit will assume responsibility of aircraft launch and recovery in deployed environments and operate on a rotational basis. 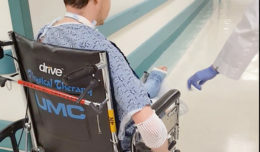 Theodore added that such commitment is crucial to combatant commanders downrange as the MQ-1 and MQ-9 aircrews continuously provide persistent, dominant attack and reconnaissance capabilities 24/7/365. To capture the unit’s impact on a global scale, he echoed the 489th’s importance to both stateside operations and the deployed mission set. 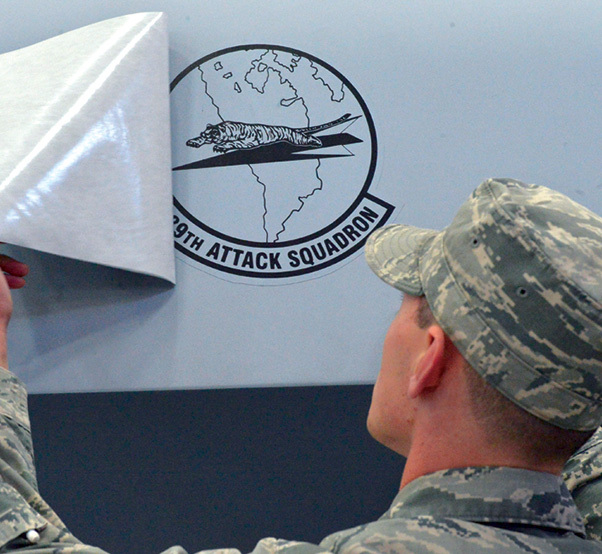 An Airman reveals the 489th Attack Squadron patch on an MQ-9 Reaper during the unit’s reactivation ceremony Dec. 2 at Creech Airforce Base, Nev. Lt. Col. Theodore assumed command of the 489th ATKS during the ceremony. Master Sgt. Jeffrey, 18th Attack Squadron First Sgt., unveils the 489th ATKS flag and streamers during the unit’s reactivation ceremony Dec. 2 at Creech Air force Base, Nev. The ceremony paid homage to traditions dating back to Frederick the Great of Prussia, and allowed members of the unit to maintain continuity of leadership.